I bought my Life Cycle in the mid 1980s and it still functions great. They may be expensive but they are worth it if you use it. I am a very satisfied customer. Join in and write your own page! It's easy to do. How? Simply click here to return to Exercise Bike Consumer Reviews - Rave or Rant!. DO NOT purchase this bike. This bike was delivered defective. The resistance is only at one level. The resistance is very tight at level 1. There is no change to resistance. As I increase the resistance, called customer service and was sent a new resistance motor. Had to replace ourselves with instructions from a you tube video sent to us by customer service. The video replacement instructions were of any entirely different bike and not even close to how my bike is set up. After all this trouble, the new motor did not fix the issue. Called customer service again and they were willing to replace other parts. At that point, I decided I no longer wanted this bike. Spoke to returns and they were more than willing to refund my money which takes 3-4 weeks to refund me. Which is absurd! The best part was they told me to dispose of the bike. Just throw it away! That should speak for itself! Bike is not worth the price! Once I have my refund, I will gladly put this item in the trash where it belongs! We're sorry that you are experiencing this. It's very frustrating. Hopefully you'll have some resolution shortly. July 2018 - Same defective Level 1. Called support (23 minutes) "go to a bike shop and purchase a crank arm tool" to take off crank an look inside bike to see if anything is broken. Called returns. Said the resistance sounded too high. Offered me "5% discount" ($50). I said no. Then offered to ship a new bike and pick up old one. Call sales 3 days later after not getting email or phone call as was promised. (Returns closed for a state holiday). Sales could find no record of any such return commitment. Same issue can't reduce the resistance, also broken parts on bike when delivered. Complained to Better Business Bureau. Got a reply that my money would be refunded in 30 days. I prepared the bike for return and was told to keep it. I got my money back and I sit here with a paper weight. Having the same issues. Getting no help from Nordic's customer service. I wish I had read this review before buying the bike. I have a new NordicTrack GrandTour bike, ordered direct from NordicTrack. It arrived damaged and broken, after a month of back and forth, parts, videos for the wrong bike, etc. they finally sent a technician with parts and a new motor. I rode it for the FIRST time yesterday and the resistance at 1 required my full body weight to turn the wheel. I'm so disappointed in this piece of crap! We went with NordicTrack thinking it was a reputable company with pride in the products. Horrible to deal with an a total piece of junk! Thank you for your feedback Maria. We've heard a lot of positive things about the new NordicTrack Grand Tour bikes, and a few negatives as well. 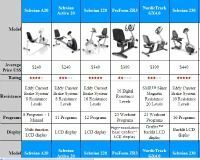 One of the biggest selling points is the price, which is very attractive given all of the features and capabilities it offers, especially the incline and the decline and the touch screen and workouts. But quality does suffer as a result, and every now and then you do get a lemon bike. Customer service is known to be less than stellar, but that is the case for many of the large cardio equipment companies. At any rate, we're glad you were able to get a refund. If you haven't already purchased a new one take a look at our Best Indoor Cycling Bikes for another option. There are a lot of good choices there at various price levels so you can find one that appeals to you. Good luck with your search, and again thank you for your feedback. It is very helpful! I have had this bike for many years, and everything works precisely as advertised. One time, the battery ran down, and I replaced it. No parts EVER failed, and it's been MANY years - I don't even remember how many, but definitely longer than a decade! The bad review here is unwarranted and unfair. I have attached an iPad to it to run interactive apps like Bit Gym, and I attached it with the Spider Monkey Tablet Tail: it fits! It takes your heart rate, even with the Tablet Tail attached, so I can enter the data into Map My Ride. I love this bike and won't get another until it breaks down. Since I've had it a decade or more, I kind of doubt that will happen, but it could. So far, so great! Unless you want a bike with super computerized features, this works great! And it has longevity! We bought a LifeCore Fitness bike about 5 years ago, and have used it moderately but consistently. Then the tension cable broke. The LifeCore certified repairman - who happily took our money to diagnose the bike's trouble - told us this part is unavailable and is back ordered. The customer rep at LifeCore told us they don't keep the parts in stock but have ordered them FROM CHINA and they don't know when they will come in. THAT WAS OVER SEVEN MONTHS AGO. No replacement part, and we are unable to use the bike. Clearly, LifeCore either (1) doesn't care about or expect to repair bikes or (2) thinks we'll just buy a new bike because the repair is too difficult. We may buy a new bike alright, but it will never be another LifeCore. Just want to say how much I have loved my Marcy recumbent bike. I bought my bike over 21 years ago and am only now having to replace it. The pedals began making a knocking noise and after examining them, my husband tells me the welding has broken. This bike has been used by myself, my husband and my daughter over the last 21 years. Thanks for making a good stationary bike. I am now looking for an upright bike and am considering the Marcy Club Revolution. My first review of this bike does not actually include comments about using it. That will be my second review. The bike arrived on time as predicted. This bike is very well packaged. The back rest is somewhat deformed but other than that all parts were in tact and assembly was smooth. This is a solid bike. One thing I didn’t think about was the height of the console. My old Startrack had a lower console so I could watch my tv which is on a table. With the new bike the console completely blocks view from the tv unless you have it higher in the wall. I’ve had to place my bike to the side so I can view the tv. I’ve made one call to Nordic Track and as mentioned on many internet sites it is very difficult to speak to a real person. I’m hoping I don’t have to use this service often. They promote extended warrantee packages but I’d be surprised if they have a tech available in the northern Canadian city I live in. I’m wondering if my Garmin heart rate chest strap will work with this unit? Is the Ifit coach worth it? Comments please. I mostly use the indoor bike in winter so it seems like a waste of money. There are a lot of negative comments about the program. Now to try the bike. Note that the NordicTrack Commercial VR21 and the up-level VR25 now have iFit capability. On the VR21 iFit is an optional feature and on the VR25 one year of iFit membership is included in the price. Most of the other NordicTrack exercise bikes now have iFit as well. This is my second post on this bike. First day ride for one hour. This seat both seat and back are comfortable. After one ride the heart rate monitor is useless. The reading is sporadic and no where near accurate. I use my Apple Watch which has very accurate readings. Fan works well. I have yet to find an answer about whether or not I can use my Garmin heart rate chest strap with this machine, I tried it on my first ride and no sync. Maybe you have to have Ifit to make it work. I think it’s a money grab for Nordic Track not to make Ifit available on a machine costing this much. I used the calorie setting but still trying to get used to the readings. The coksok3 is very busy. Comments appreciated. I ordered a Sole SB700 bike July 16th from Sole direct. Ended up finding out they were out of stock a week later. On July 31st I called and was offered $100 off my order and was told they were shipping August 1st-3rd. I guess someone was supposed to have called me but I had to make the calls. Today is the 3rd and I'm starting to wonder if I'm even going to get a bike. I've emailed, I've posted on their Facebook page (because I noticed they got back to customers pretty fast). and I've called. I've not got a single response from the Facebook or email. When I called I didn't get any real answers either. I was told "it should have shipped we are just waiting on a tracking number". My credit card hasn't been charged yet and with computers had it been shipped tracking numbers should be pretty quick. So bottom line is nobody is telling me anything. I have to be honest I'm not impressed so far with customer service or my experience. Today is August 6th and I called again and asked about the status of my order and when I spelled my last name he just put me on hold without a word. Came back on a bit later and said he'd have to contact the shipping company and he'd call me back. I did tell him my credit card has not been charged so I find it hard to believe it has shipped. I honestly have no idea how bad or good the Sole SB700 bike is. I find the sales department at Sole rather rude and not very helpful. I finally received a reply from my facebook comments on their page. I was told "my comments would be forwarded to customer service and they would get back to me ASAP". I never did get that call back from my phone call this morning. I then received an email that doesn't match the information that had been told to me in past phone conversations but here it is. "We have received confirmation from our warehouse that the SB700 Bikes have arrived. They will be shipping out either today or tomorrow and you can expect a call from our shippers by early next week to set up the delivery date. This normally takes 10-14 days, but under the circumstances we are working with the shippers to get them expedited. Hopefully you can have your machine delivered by the end of next week. If you have any questions please give us a call." I'm hoping I get a bike so I can give you all a review of this bike at some point. This whole transaction has been nothing but a hassle so far. I guess I must have received a lemon. 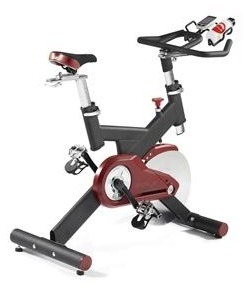 The 5th day upon receiving the Proform Le Tour de France Indoor Bike the incline feature quit working and the bike defaulted to a max incline position. I spoke with Customer Service and they thought it was just a loose connection or bad wire harness...so they sent me replacement harnesses. After these did not resolve the issue, they sent another console. Still nothing. To make a long story short, it turned out to be the circuit board. Well, 5 minutes into an "exercise bike" workout (previously I had been using the Map Your Ride feature) ALL manual controls have quit. As I type, the bike is reading an 85 rpm cadence and the time is clicking away. Like I stated earlier, maybe I just received a lemon. But from my perspective, Proform should have conducted more testing before putting this bike out to the market and too bad to me for being sucked into buying the Proform Le Tour de France bike and getting something that was so new there weren't any customer reviews yet. when it works its great. First the actuator in motor broke, had to glue it. then the seat post got stripped, glued that . Basically junk, that I am still paying for. The advertising of this cycle is excellent as is the design concept. The implementation is underwhelming. I have had the cycle for a month and a half. It has had the console and a circuit board replaced - the repair person that came out did not have fond things to say about the quality of the machine in general, except that if more of them were sold, he would continue to have job security. The iFit software has been a problem. They have done an upgrade during my ownership that did made it much better than it was, but far from as advertised. The web site is very slow, it's not easy to navigate, somewhat featureless (compared to other sites I use for fitness), and filled with bugs. Gearing for your comparible outdoor rides is far from realistic, but is better than most indoor riding. Nice to have gear shifting at your fingertips. The 20% tilt is another great in concept feature, but is more of a hinderence to riding than it is worth (probably will also contribute to more future mechanical problems). Not having forward/backward adjustible handlebars (I believe fixed since I purchased my unit) makes the cycle unrideable going up hill while standing - my knees hit the bars. I ride a lot of hills and never have that problem on a real cycle. Nice to have the coasting and free-spinning available which does differentiate this unit from other in-door cycles. The support staff that I seem to talk to every other day is friendly and tries to help, but unfortunately has their hands tied waiting for response from the developers. I currently have 4 problems registered on line that have been waiting nearly a week to be assigned to someone. One of the problems is that the workouts abort midway through a session requiring you to dismount and restart the session on your PC - guess that's no different than coming up to a stop sign or red light. This is an expensive machine to own $1300 - $1500 up front and $200/year (half for the maintenance plan you better buy and half for the annual iFit membership). The cycle is basically worthless without the iFit membership. My recommendation would be to wait a year or two for the bugs to be worked out before purchasing. In the meantime, get a good indoor trainer for your outdoor bike. Set up the bike, installed the firmware update, and now the console is non-responsive! I have the Gen 2 for about 1 month and it's been a great investment, worked great since day one! I'd definitely recommend it, training on it is awesome. 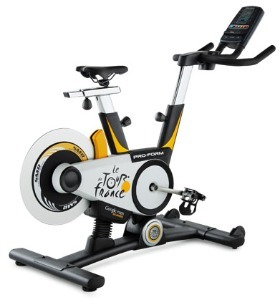 I received the Generation 2 TDF bike in February 2012, manufactured in January 2012, and after the second workout, the console quit working leaving me a dead bike. The customer service rep told me they would send out a new console, but now I received an email stating the part is out of stock. I have a brand new $1500 stationary bike in my basement that is only good as a boat anchor. This bike is not ready for the market yet. Don't make this mistake. I am looking to buy the Proform TDF Gen 2 bike, but it is disappointing to see a lot of extremely bad reviews about the bike on different sites, not sure if those are Gen 1 problem. They released a Gen 2 version, not sure if that has improved on the quality and performance of the bike. Also, I heard Proform Customer service is the WORST it can be in the industry, on a scale of (best) 1 - 10 (worst), proform will easily claim the 10th spot on service. Not sure if all of these quality issues are true for Gen 2 bike, need more customer experiences on the Gen 2 bikes. This bike is a lemon! I only waited 2 months for delivery then 2 days later the front handle bar shifter quit. The network is slow when turning on the center screen; it only goes to the iFit screen and will not go anywhere now. I have parts ordered for a month for the shifter but now the quality of the whole machine shows up. This bike is a piece of junk. After setting it up, I tried a 20 min. downloaded workout, which went fine. Then I downloaded a route I had mapped, and less than 5 min. into it the bike went into a "downward dog" position, from which it has not recovered, just like the previous reviewer. A new console did nothing. After a second round with their service line they sent a replacement motor, which a local warranty service rep was to install. But what they sent was for the magnet, not the elevation. The service rep was able to get the elevation motor working, but the console would not control it. 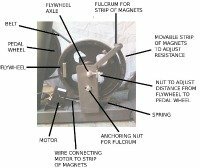 Even the magnet motor is not being controlled, because the resistance is constant in manual mode. The service guy ordered another console and elevation motor, but ICON (the ProForm company) says they are out of stock. This has been going on for 2 months now. There is something wrong with this design. I'm very close to sending the thing back for a refund.